San Jose area caregivers from Visiting Angels can assist with ALS care. 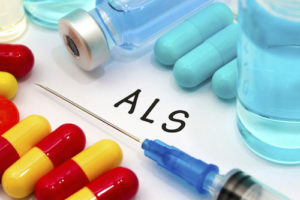 Receiving a diagnosis of ALS (also known as Lou Gehrig’s disease) can bring up a lot of questions and concerns, for both the individual diagnosed and his or her family members. What’s the cause of ALS? What are the signs of ALS now, and how will they be changed in the years to come? Where can I go to find necessary support? As many as 30,000 Americans are presently diagnosed with ALS, and about 5,600 new patients are diagnosed with the disease each year. And although the actual cause is not clear, some scientific studies point to confusing risk factors, such as a doubled risk of ALS in veterans who were in service during the Gulf War. Though each individual can experience ALS differently from others, the advancement of the disease does seem to follow specific stages. Comprehending these stages can assist those with ALS and those who care for them in implementing the most appropriate plan of care. Receiving care from a professional in-home caregiver, such as Visiting Angels, can improve quality of life for individuals during any stage of ALS. Our San Jose home health care team works with families to create an individualized plan of care, allowing those experiencing symptoms of ALS to maintain dignity and the highest possible level of independence at all times. Contact us online or call us at 408-610-9996 to learn more about our senior care services in San Jose and throughout Santa Clara County.